Autonomous farm machines were once the subject of science fiction, but Yanmar has made them a reality with the introduction of its new 2-Series tractors scheduled to go on sale on October 1, 2018. 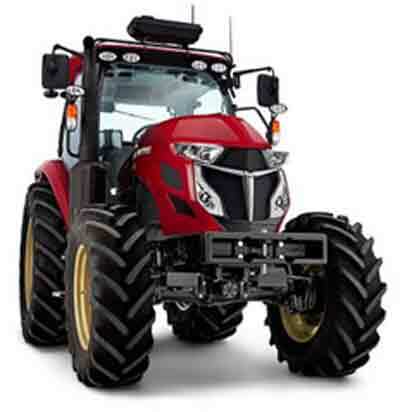 Equipped with Yanmar’s innovative Information and Communications Technology (ICT) – which utilizes precision positioning data and robot technology – the new autonomous driving “Robot Tractors” are designed to greatly enhance farm management efficiency, while realizing significant labor-savings. Agricultural machinery equipped with the “SMARTPILOT” autonomous operating system will fortify Yanmar’s already impressive lineup of industrial farm machinery. In addition to the unmanned Robot Tractors that will help reduce the number of manual laborers required in the field, Yanmar has introduced a lineup of Auto Tractors that deliver high-precision work with minimal human operation, all based on the company’s vast experience and deep knowledge in the farming field. Also, those who already own a YT tractor can upgrade their equipment with the auto robot functions. At the technological centre of the new Robot and Auto Tractors is Yanmar’s ICT, which was developed to address the various challenges that have faced the farming industry in recent years. This includes challenges such as the necessity of large-scale management of aggregated farm land (bigger farms need more management), as well as the twin challenges of an aging labor force and fewer young workers joining the work force. By supporting farm management with integrated control (automated recording) based on information from the sensor network, ICT promotes greater production and management efficiency. This in turn results in added value for agriculture and crops, in areas such as larger scale farming, increased crop quality, and augmented branding functions. By providing various services with ICT, Yanmar will continue to strive to improve efficiency and reduce the need for manual labor for its customers, as it continues to lead the way in advancing sustainable farming. In addition to advancing forward, “Auto Mode” allows the tractor to automatically drive in reverse, stop and execute turns. In “Linear Mode,” while certain driving manoeuvres such as turning are performed by hand, the tractor can travel back and forth on its own when cultivating land. Switching between these two modes is possible in the 2-Series, allowing you to customize it for different operators, or according to skill of the individual and the work itself. Operation and settings are controlled via a durable, dustproof and waterproof 10-in. tablet to assure and reliability in the often-harsh environment of farming. Also, it allows for one person to operate two tractors, as the tablet in the manned tractor can be used to operate the unmanned tractor side-by-side with the manned tractor, or even in reverse. Information is represented by icons or illustrations, making it possible for the user to easily perform tasks such as gauging the work area, creating driving routes and tracking where the machine has driven during operation. And, because the system is based on RTK-GNSS?, which utilizes two signals from global navigation satellites (GNSS) and the base station, it can provide positioning information with pinpoint accuracy. In addition to the base stations established by JA and local governments, the user can utilize Yanmar’s own base station as well. Assuring safety for those in the proximity of the Robot Tractor, which is capable of unmanned driving and operation under the surveillance of an operator, are numerous sensors and safety lights. Also, the user can perform functions such as emergency stops on the control tablet. If you already own a YT tractor, you can add autonomous operation and robot specifications as a factory option. This allows you to acquire autonomous operation functionality and improve your work efficiency in a smooth, hassle-free fashion, without having to purchase a new tractor. With beginnings in Osaka, Japan, in 1912, Yanmar was the first to succeed in making a compact diesel engine of a practical size in 1933. Then, with industrial diesel engines as the cornerstone of its enterprise, Yanmar has continued to expand its product range, services, and expertise to deliver total solutions as an industrial equipment manufacturer. As a provider of small and large engines, agricultural machinery and facilities, construction equipment, energy systems, marine equipment, machine tools, and components, Yanmar’s global business operations span seven domains.